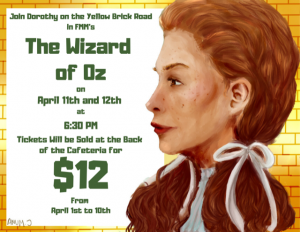 Father Michael McGivney Catholic Academy in Markham is proud to present The Wizard of Oz on Thursday, April 11th and Friday, April 12th. With a cast of over 50 students under the helm of Sofia Nardi, Teacher and Producer/Co-Director, the audience is in for a musical treat. The show will be a a fantastical undertaking highlighting the school’s art, technology and music departments. The double student cast has been busy like the munchkins memorizing lines and practicing their choreography under the expertise of Christine Repa, Teacher, Co-Director and Choreographer, as well as diligently practicing their pitch and tone under the coaching of Liana Cipollone, Teacher, Co-Director and Vocal Coach and Anthony Moncata, Music Teacher. 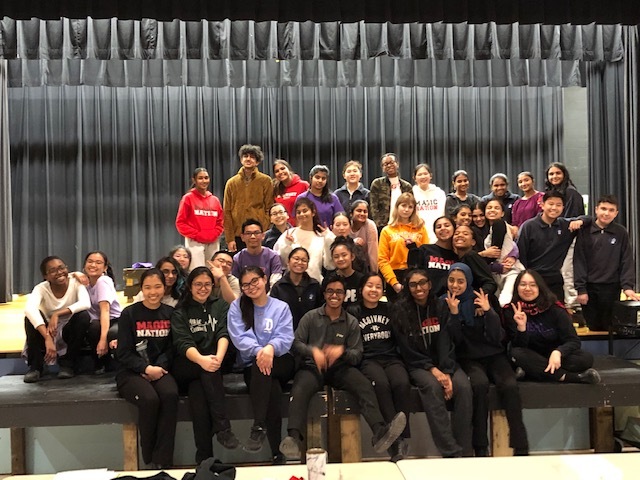 The McGivney halls are buzzing as the cast and assistant stage managers attend three rehearsals a week to ensure that the musical will go off without a hitch, both in front of the curtain and behind the scenes. All this could not be possible without the mentorship of Donna Dewey, Teacher and Stage Manager. The cast and crew cannot wait to share their talents with the community at large. 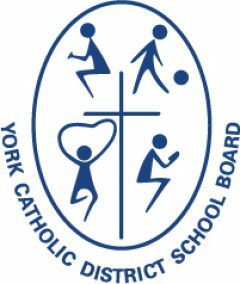 Both the April 11th ad April 12th shows will start at 6:30 p.m. Father Michael McGivney is located at 5300-14th Avenue in Markham, ON.